University of Idaho’s Dallas Sandberg believes that hard work and a dedication to his craft will help him achieve his dreams. During his time at U of I, Sandberg earned degrees in sociology with an emphasis in criminology as well as a degree in psychology, both from the College of Letters, Arts and Social Sciences — two assets that he believes will benefit his quest to help others realize and achieve their goals. Sandberg says his time at U of I has taught him to focus on the positives in life, learn from his mistakes and study in order to prepare for any challenge ahead. 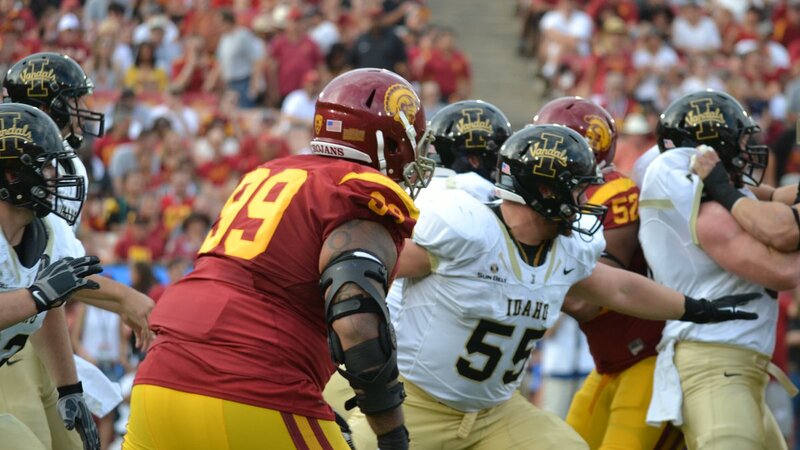 UI senior Sandberg is a dedicated offensive lineman with a passion for learning. Generous donors who support the university and the student-athletes through the Vandal Scholarship Fund are truly the catalysts that turn students’ dreams into reality. Your donations give young student athletes, like Sandberg, an outline to help prepare them for successful careers. Sandberg has turned his passion into a lifelong quest for knowledge. He believes that the principles he learned at U of I will help him in his pursuit of an NFL career and life beyond. Make a gift to support University of Idaho Athletics. Make an impact by entering "Vandal Scholarship Fund" as the designation for your gift.